1 world politics | This Blog Rules | Why go elsewhere? 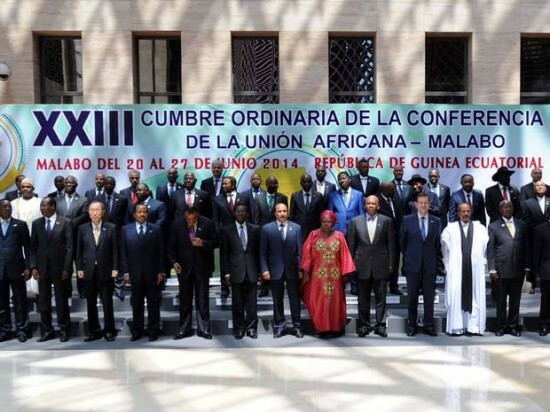 A few days ago, on Friday, 27th of June 2014, the leaders of African countries reunited at a summit in Equatorial Guinea. What they voted for should give us all the chills. The leaders, some of which are in trouble with various courts for their involvement in war crimes and human rights violations, voted to give themselves and their allies immunity from war crimes. 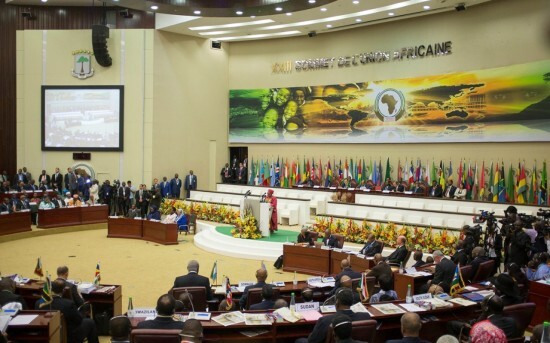 Two sitting presidents and one ousted president of the African continent are currently facing charges at the International Criminal Court. This ruling is surely not a minor detail of how the initiative for this vote was taken. The news of this outrageous decision only seems to have hit the Western World today. All the major voices have expressed concern for this turn of events. Amnesty International, which is the NGO most equipped with studying problematic issues and charged with reporting to the UN, has called the vote “a backward step in the fight against impunity and a betrayal of victims of serious violations of human rights”. Indeed, there’s plenty of reasons to feel outraged when a bunch of politicians by this sit down meeting. They’ve voted to give themselves immunity against war crimes and the international community can’t remain indifferent. What makes the matter even more concerning is the continent’s recent history and inter-ethnic conflicts that too often ended in downright massacres. Without meaning to imply anything inappropriate about Africa and the capacity of its peoples to peacefully govern their territories, there have been enough problems to make the matter worrisome. Leaders voting to give themselves immunity from war crimes would chill the blood in anyone’s veins no matter where he or she is from (and we surely do have our own part of troubled history). In a place as ripe with conflict and tension and Africa is, this seems all the more dangerous. When a massacre like the recent South Sudan attempt at ethnic cleansing ensues, the only thing the UN and a few NGOs can do is watch helplessly and try to offer a bit of comfort and basic shelter to the survivors. Intervening military in such a situation would be both difficult and problematic. One thing the rest of the world can do in order to prevent such atrocities and help the troubled areas achieve greater stability is impose regulations and preventative measures. Such a preventative measure includes making sure the laws and the courts have a firm grip on the rest of the country. But, this recent vote basically rejected any kind of accountability for even the most serious violations. Giving themselves immunity from war crimes is equitable to a defiance of basic human kindness. It shows a lack of respect for human life for their own people. It’s a shame such news are able to tarnish the image of the African areas that are actually peaceful and doing just fine. The vote was held especially because the international community is currently struggling to set up an African Court for Justice and Human Rights. Netsanet Belay of Amnesty International declared that the vote to give these leaders immunity from war crimes is undermining the integrity and capacity of this court even before it can become operational. On a more optimistic note, others (namely, Simon Allison of the South African Institute for Security Studies) argued that even if the vote to give the leaders immunity from war crimes is undoubtedly a drawback, it could also prove to have some utility on the long run. In his words, the newly gained immunity could prove to be some sort of incentive for those leaders to not hinder the activity of the court and perhaps even be willing to collaborate more with it since they would feel safe from its rulings. In any case, the matter remains a heated source of debate and discomfort for the rest of the world as well. We eagerly await more reactions and truly hope things won’t remain like this for long.